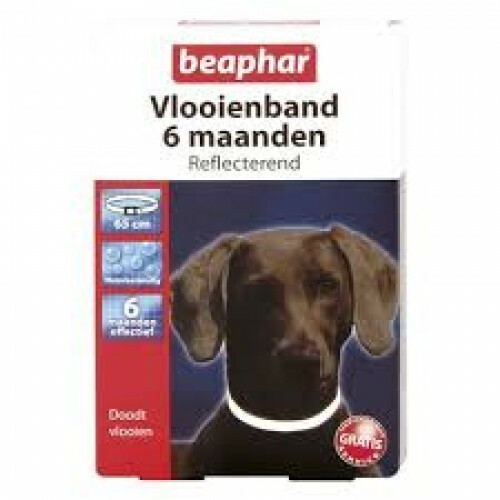 A waterproof fleacollar with reflective stripes. Highly reflective in car headlights up to 50 metres. Effective against fleas for up to six months. Suitable for dogs and puppies over 6 months of age. The tape is waterproof, odorless . Do not use in dogs less than 6 months. Fasten the belt loosely around the dog's neck. Over lengths are cut off.